Another front has opened up in the legal battle between the CrossFit exercise brand and a competitor, spurred by a now-retracted paper about the risk of injury from the workout program. Soon, a judge will decide whether CrossFit is entitled to learn the names of the study’s peer reviewers. CrossFit has tried and failed to identify them before. If they’re successful now, it could help establish a new way to legally breach reviewer confidentiality; two outside lawyers we consulted said they’d never before seen a court order a journal to reveal an article’s peer reviewers. The article was published in 2013 in the Journal of Strength and Conditioning Research (JSCR), the official research publication of the NSCA, and was retracted last year. It’s referred to as the “Devor article” in the court documents, after last author Steven Devor, a former professor at The Ohio State University (OSU). A “discovery referee” assigned to the defamation case recently ordered NSCA to provide CrossFit with the reviewers’ names, but NSCA is challenging those rulings, saying that they have the same right to protect their sources as journalists do. In 2013 the NSCA knowingly published fabricated injury data about CrossFit. That didn’t work, either. CrossFit uncovered the fraud. A process used by the NSCA to coerce and inject false injury data about CrossFit training into the so-called Devor article. whether any of the peer reviewers had pre-existing biases against CrossFit, the peer reviewers’ pre-existing relationships with the NSCA, and whether the peer reviewers were subject to influence by the NSCA. In a Federal lawsuit filed May 2014, CrossFit accused NSCA of unfair business practices, as competitors in the market for fitness instruction. CrossFit tried to identify the peer reviewers in that case, too, but was denied. Whenever courts are asked to strip people of their anonymity — where there’s some societal benefit, in general, to giving anonymity — courts have to balance a number of factors, including whether the party seeking to learn that person’s identity has shown that the identity is really relevant to their case and, moreover, that it goes to the heart of the case. The peer-review process, as a whole, is central to this litigation…nearly all of the Alleged Defamatory Statements in this case center on the false-injury data. The so-called Devor article was retracted May 30, 2017. The stated reason for the retraction was that the authors, Devor and Michael Smith, now at California State University, Chico, had not received proper approval for the study from their institutional review board. Devor resigned from Ohio State the next day. The paper has been central to multiple lawsuits, not only between CrossFit and the NSCA, which publishes JSCR, but also between Ohio State and Mitchell Potterf, the owner of the Columbus, Ohio CrossFit affiliate where the study took place. In 2016, OSU settled a defamation suit filed by Potterf for approximately $145,000; a False Claims Act suit filed by Potterf against OSU was dismissed, as was a similar suit Potterf filed against NSCA. As part of the federal lawsuit filed by CrossFit against NSCA in 2014, a judge denied CrossFit’s request to reveal the Devor article’s peer reviewers, for the time being. But the judge didn’t rule out the possibility entirely. Crawford also noted that NSCA used as precedent a ruling from a 1988 patent case titled Solarex Corporation v. Arco Solar, Inc. In that case, Arco Solar wanted the court to compel a third party, the American Physical Society, to disclose the identity of a researcher who assisted a journal editor in determining whether a paper was suitable to be published. The court in that case denied Arco Solar’s request. The Court agrees with [NSCA’s] argument that [CrossFit] has not adequately justified the need for an order compelling [NSCA] to disclose the identities of the peer reviewers for the Devor Study. The Court acknowledges that the circumstances at issue here are somewhat distinguishable from those in Solarex… in that defendant is a party to the action rather than a third-party publisher with no interest in the outcome of the litigation…it is possible that plaintiff may, at some time in the future, be able to present evidence and additional argument that would tip the balance in favor of disclosure of the identities of the peer reviewers. Hand-selected a senior editor…and directed her to find peer reviewers who would focus on injuries. CrossFit has already discovered any and all information related to the peer review process. 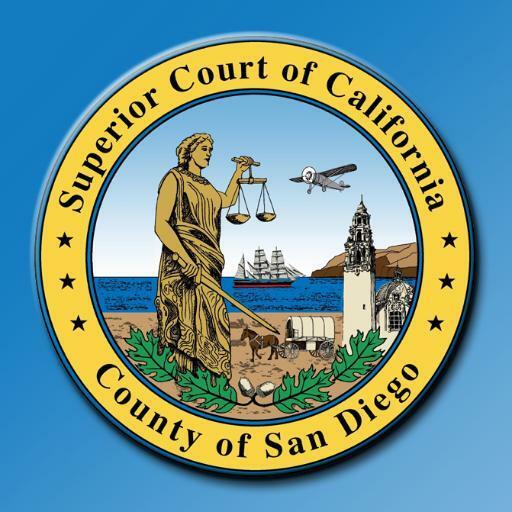 To assist with the legal process of discovery, in which both sides can obtain evidence from each other, the San Diego Superior Court appointed a discovery referee, retired judge William McCurrine. Last month, McCurrine issued two orders for NSCA to produce the peer reviewers identities. NSCA has filed objections to those orders, which resulted in the hearing scheduled for Jan. 18. NSCA attorney Kenneth Kawabata, of Manning & Kass, Elrod Ramirez Trester, did not respond to our request for comment. Deagle, and her colleague Justin Nahama, told Retraction Watch they could not comment on this issue until after the hearing. NSCA is in a weaker position having placed this at issue [by bringing the lawsuit]. But to their credit, they’ve focused on the question whether the identity, per se, is what’s relevant, as opposed to the peer review process. When the authors identity and affiliation is uncovered for editors and reviewers why not the reviewers become visible for authors. I think the peer review system is obsolete. I think it’s ridiculous to imagine that the peer re viewers have any sort of culpability here. Crossfit is acting like the Church of Scientology in its use of legal intimidation. Methinks the NSCA protests too much. We already know that the initial submission did not contain fraudulent injury claims, but that these claims emerged as a consequence of the peer review process. And we have seen the peer review comments telling the authors to include injury data, despite the draft having no indication that it was ever collected. So no, it is not ridiculous. CrossFit’s model of how journal articles are accepted for publication is in error. This decision is made by the action editor–reviewer play an advisory role, they do not make decisions. It is conceivable that asking for the reviews themselves would make good sense, but the identity of the reviewers, and COIs/bias they might have isn’t really the best way to go about their case. Unless it’s about intimidation. Then, it’s a good way to intimidate. One of that issues at hand is how the NSCA selected the peer reviewers. So their identity is directly responsive to that matter. Remember that in this case the NSCA has sued CrossFit (and myself) for defamation, over statements we made regarding the NSCA’s fraudulent publications and peer review process. told us that doesn’t meant it hasn’t happened. This seems like an odd and narrow circumstance, where the publisher supposedly had a business interest in competing services or products. In my (niche) field, authors/peer reviewers/peer editors often have business interests that could be affected by the science publications. I can’t imagine it is common for the publisher to also have business interests in their scope. While it’s easy to sympathize with the non-profit NSCA in their tussle with a for-profit company which likely has more resources to throw at their legal case, it will be interesting if the the discovery shows that the editorial/publishing side of NSCA was influenced by business concerns. What would the problem be in a review asking for data on an aspect the original draft do not consider in their research? It happens all the time. It is part of the review process for the reviewer to investigate aspect of the draft that are not clear. If then the authors add fake data to answer the reviewer’s question, it is responsibility of the reviewer only if was easy to catch that that were fraudulent data. Previous Previous post: Caught Our Notice: Doesn’t anyone do a literature review any more?